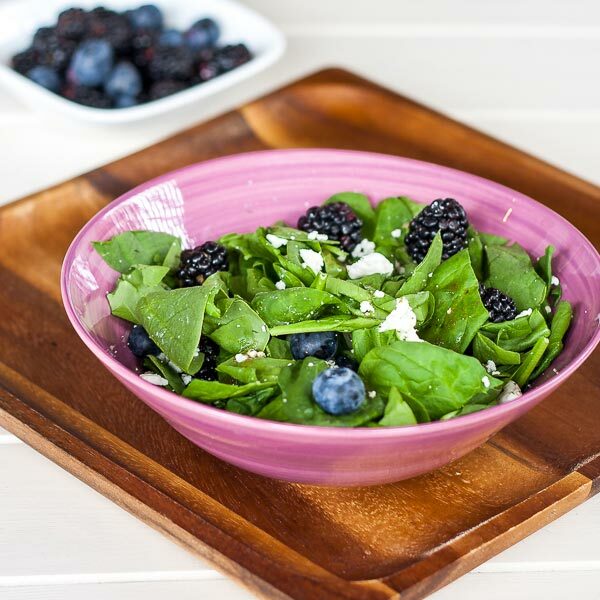 Another easy salad recipe; I was pretty uncertain about having berries mixed with spinach but it definitely works and the goat cheese brings everything into perfection. If you feel adventurous you could probably replace it with blue cheese… I wasn’t. 🙂 Anyway, if you ever wanted to become a vegetarian, now is the time to start. Pretty easy, just mix everything in a large bowl. Drizzle with vinaigrette; toss gently to coat.